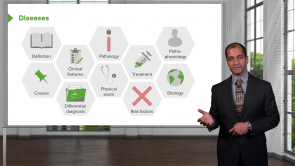 This course covers everything you need to know about Acute Renal Failure. Urinalysis is the test performed to analyze the physical, chemical and microscopic characteristics of urine. The information from this test might be used to diagnose or rule out diseases based on the findings. Urinalysis is most commonly used in identifying diseases of the urinary tract and diabetes. It includes macroscopic, microscopic/cytological and chemical analysis of the individual elements in urine. 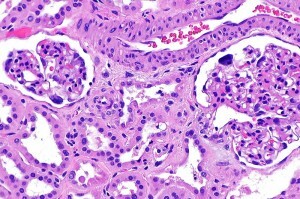 Tubulointerstitial nephritis is an inflammatory condition affecting the tubules and interstitium, while sparing the glomerulus. Acute and chronic pyelonephritis, along with drug induced interstitial nephritis, is the predominant cause of tubulointerstitial nephritis. Urine examination shows characteristic eosinophiluria and WBC casts. 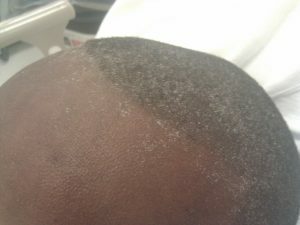 The treatment involves the discontinuation of the offending drug, along with steroids, while treatment is mainly supportive in the chronic type. Progression to end-stage renal disease is seen in the majority of tubulointerstitial disorders. Kidneys are central metabolic organs in our body. They regulate our water and electrolyte balance amongst other things, and are responsible for the removal of potentially toxic substances and medications. Shockingly, many of today’s widespread diseases can lead to damaged kidneys and an impairment of their function. Chronic renal failure is a systemic disease with massive effects on the whole organism. It is not always easy to understand all of the various facets of the disease. This article should make the mechanisms and processes easier to understand, and will explain them in more detail. Acute renal failure covers 5 % cases of emergency hospitalization. Acute renal failure is classified into prerenal, intrinsic or postrenal based on the etiology behind. Pre-renal acute renal failure is the most common type. 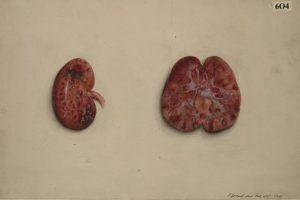 The physician determines the etiology of acute renal failure through systematic approach involving blood tests, urine tests and abdominal ultrasonography. Treatment is focused on the supportive therapy based on fluid and electrolyte replacement to reduce the waste accumulation and sustain nutrition. 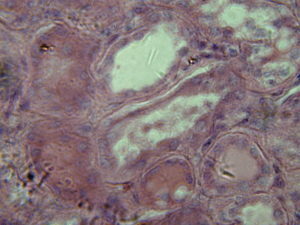 These are kidney diseases that involve structures outside the glomerulus. The causative agents incite a hypersensitivity reaction that leads to an inflammatory infiltrate seeding into the kidneys interstitium and irreversible features of fibrosis and sclerosis. This leads to the diseases presenting as an acute kidney injury that may end up as an end stage renal disease. Management is per the acute renal injury algorithms that advocate for identification of the inciting agent and its discontinuation alongside watching out for end stage renal disease and timely institution of renal replacement therapy. Great, succinct, and well taught lecture. I did not find it confusing. I don't like the use of acronyms when speaking because it is very distracting. Important content is all in the lecture which is a good thing, but I'd much rather use the pathoma videos for this topic. Lecturio is a solid and highly efficient learning Platform. Dr. Raj is a seasoned communicator, and has just the right balance of serious professional demeanor, clarity of speech and concepts, and good humor you want in a Teacher. This lecture, like the others I’ve watched so far, is excellent stuff!